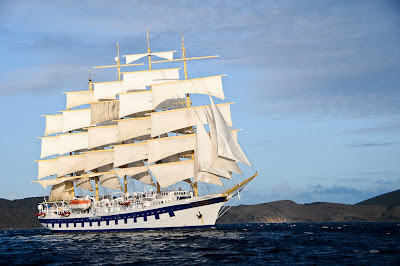 Today, Star Clippers released their 2012 schedule for their northern European cruises and they are offering a host of new destinations and experiences starting in May 2012. You'll recall from a couple earlier posts that I had one of my most memorable vacations on a seven-day, seven-port cruise on the Royal Clipper. Without repeating the entire previous article, I must say it was the most luxurious, yet at the same time casual cruise I've ever seen. Food, staff, ship, destinations...none could have possibly been any better. In addition to all the aforementioned reasons to like the Star Clipper fleet, it's great to know they are a truly green operation with a commitment to sustainability all across their organization. One of the most visible signs on my cruise was Dr. Mariano Peruzzo, the resident marine biologist who sails on the Royal Clipper ship. From day one, you knew this was not some stuffy research scientist, but rather, an affable man who makes marine biology interesting to even the least initiated. His daily talks and afternoon dives easily made converts out of former skeptics. "If more people had had the chance to follow an ecology class in high school, the world might not be in the mess it is today" he said. "You have to believe it's possible to turn around the trends that you see on this planet and I think we can. But we need to get going." With the positioning of Star Flyer in the northern European region from May through August, the tall ship cruise operator expands its European offerings to stretch from the eastern Mediterranean up to Norway. Star Flyer will sail a variety of itineraries with departures out of Southampton, England; Oslo, Norway; Hamburg, Kiel and Warnemuende (Rostock), Germany; Stockholm, Sweden; Copenhagen, Denmark, and Amsterdam, the Netherlands. Ranging from three-night samplers to 11-night explorations, the ship not only calls at some of the Baltic's most popular capital cities, but also visits several smaller, charming, lesser-visited ports along the way. "When we were developing the Baltic itineraries we knew we had to make them special and unique, which is why we included so many intimate ports that are going to leave a lasting impression on our guests," said Mark Carlson, director of marketing for Star Clippers Americas. "Our guests like adventure and they seek memorable experiences, and we expect the Baltic cruises to be among our most popular ever ... so guests should book early." Additional destinations include: Sweden, Russia, Finland , Germany, Norway, Amsterdam, Belgium and Lithuania. 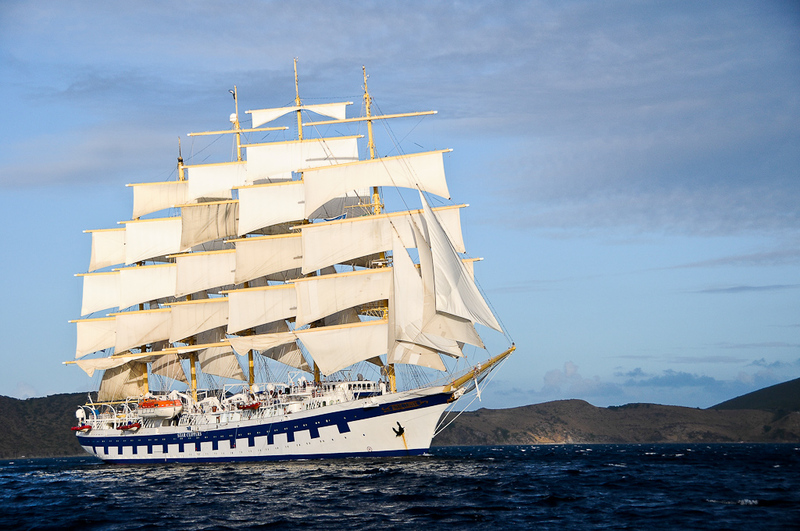 One of the benefits of the Star Clipper fleet is that they are small (max. 229 passenger) ships. That also can be a disadvantage when cruises easily sell out to the most interesting destinations. Mark is probably correct in that you should book early if 2012 is the year you are going to finally join the Star Clipper family. To request a brochure, call toll-free 800-442-0556 or e-mail brochures. To make a 2012 Baltic reservation, contact a travel professional. For information, call Star Clippers at 800-442-0551 or visit www.starclippers.com to view a video about the line or take a virtual tour of the Star Clippers ships. Keep up to date on the latest Star Clippers news by visiting them on their blog, where you'll see some of my photos at www.starclippersblog.com,Facebook and Twitter.